What is Landscape in a Box? 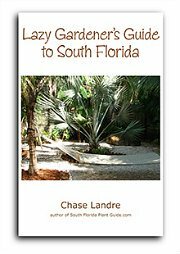 South Florida landscaping ideas to go - with group photos of plants to make visualizing easy. Most of us would like to design our own landscaping - but we're hesitant about our ability to picture the whole thing. What plants go together in a landscape? How will you know what plant combinations you like unless you see them first? ...and a way to visualize ideas ahead of time. That's where Landscape in a Box can help. We've grouped plants that work well together so you don't have to think too hard about plant textures, growth direction, colors that complement each other. Obviously you need to choose things that go with the architectural style and the color of your home. So we've created plant collections in many color combinations that work for various landscape styles. Feel free to substitute other plants you like for those that don't appeal to you. Landscape in a Box is basically a jumping-off point to get you started - and inspired. Each photo in this section is named, with a link to the Plant Page about that particular plant. You may need to know more about it so you'll know how to best use it in your yard. Keep in mind that many of the plants here - in this section and throughout this site - do best in Zone 10. So we've included a section on Cold Hardy Landscapes for those of you who live in Zone 9B, as well as people in Zone 10 who prefer these plants. ..the sheer number of exotic, beautiful plants we have to choose from is seemingly endless. 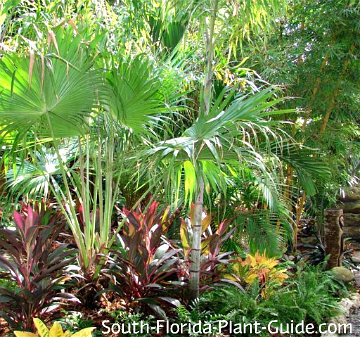 And - for newcomers to South Florida - that, and the "newness" of the plants that grow here, can be mind-boggling when it comes to designing a landscape. 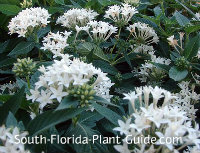 South-Florida-Plant-Guide.com strives to cover all of the most commonly used (and a few unusual) South Florida landscape plants. That's what we've used in this section, though there are less-common others you might like to add. Most landscape design - South Florida style - is a mixture of formal and informal, tropical and classic. We've divided things into groups with a bit of style and theme - browse through them all! You can always mix and match to find the right combination for you. 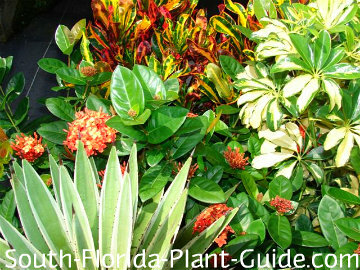 See "Companion Plant Suggestions" at the bottom of each of the Plant Pages for more South Florida landscaping ideas.